Thousands of baby spiders have hatched at Bristol Zoo as part of a world first breeding programme to save the critically endangered species. 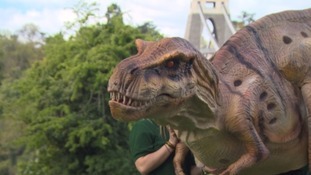 Eleven 2m tall dinosaurs will make Bristol their home for the summer. A Western lowland gorilla is settling into motherhood and her newborn is 'looking strong' says Bristol Zoo keeper. An adorable baby Western lowland gorilla has been born at Bristol Zoo Gardens. The infant was born to mum Touni and dad Jock in the early hours of Saturday morning. Keepers are monitoring mum and baby very closely, but say despite being a few hours old, it appears to be strong and Touni is being very attentive. The Gorilla House is closed to allow mum and baby to rest and bond. The baby is the eighth gorilla in the troop at the zoo. Mum Touni arrived as a seven-year-old female in October 2015 from La Vallee des Singes Zoo in France. READ MORE: Baby gorilla Afia born by emergency C-section after mother suffers pre-eclampsia. Twin sister lemurs Mavis and Ethel gave birth within just hours of one another at Bristol Zoo Gardens. Penguins from Bristol Zoo has been donated to Tbilisi in Georgia, which lost many of its zoo animals in a flash flood in 2015. 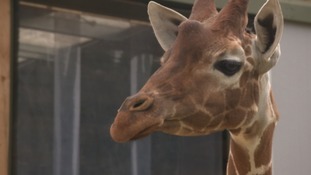 Hugo was named after the zoo conducted a Facebook poll to find the most popular option. Bristol Zoo's famous baby gorilla Afia has finally been accepted by the troop. It means she no longer needs to be cared for by keepers.